Recent development in Poland and how they affect EU fundamental rights were debated in plenary on 13 September. While some MEPs criticised Polish authorities for reforms affecting the country's constitutional tribunal, others called on the EU to respect the decisions by Poland's government. 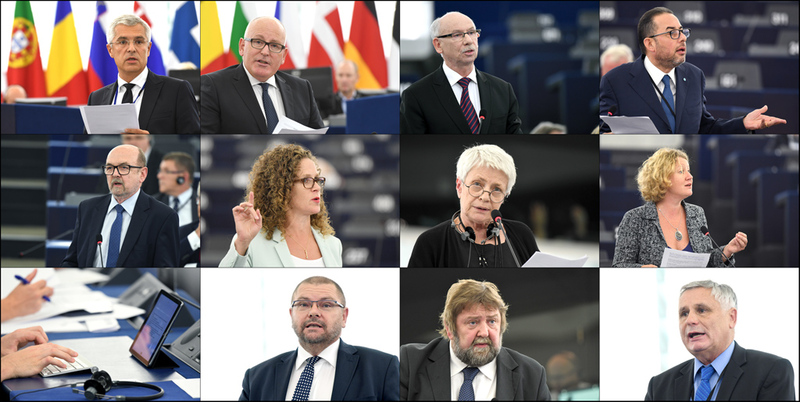 On Wednesday 14 September, MEPs adopted a resolution urging the Polish government “to solve the country’s constitutional crisis and find a compromise” in line with European Commission recommendations. “We have to remember this is not just a debate against or for Poland,' said Polish EPP member Janusz Lewandowski. "It is a question of abuses of the current Polish government that represent a threat to the rule of law, and also will end up turning against Polish society itself. “It is only normal that the European Parliament should express its concerns." Gianni Pittella, the Italian chair of the S&D group, said of the Polish people. “We are fighting for you and with you, not against you. We are fighting for democracy." Ryszard Legutko, a Polish member of the ECR group, questioned why a debate on Poland was being held at a time when the EU faced so many serious challenges such as Brexit. "You are not able to accept the fact that there are parties and governments that are of a different opinion. And that they have every right to express these opinions." Sophie in 't Veld, a Dutch member of the ALDE group, said it was important to discuss the situation in Poland: “This goes right to the heart what European Union is all about - the rule of law, fundamental rights and democracy." Barbara Spinelli, an Italian member of the GUE/NGL group, strongly criticised the Polish government’s opposition to Muslim immigrants. “I don’t think that we are interfering in Polish affairs. We are recalling that there are standards that everybody has signed up to by ratifying the treaties." Judith Sargentini, a Dutch member of the Greens/EFA group, expressed concerns that while Poland had only recently turned to democracy “now you are heading back in the opposite direction”. Stanisław Żółtek, a Polish member of the ENF group, said: “The Commission has forgotten its role. The commissioners want to rule over this country; they want to take over and overthrow governments." Zoltán Balczó, a non-attached member from Hungary, said “we are intervening in the politics of Poland” and by doing this “we will be well on our way to ensuring that the EU is destroyed”. The resolution was passed by 510 votes to 160 with 29 abstentions.